Theatre-maker, performer, musician, writer; there isn’t really a lot that Christopher Brett Bailey can’t do. Since scoring an acclaimed, award-winning hit with This Is How We Die, his talents haven’t gone unnoticed, with work for BBC Radio 4, Unicorn Theatre and the late writer, actor and director Ken Campbell under his belt. Now, he’s headed to Northern Stage on Tuesday 2nd October with his latest show Suicide Notes…The Spoken Word of Christopher Brett Bailey. The title might give some of the premise away: Bailey is indeed coming to perform a series of poems and stories from his most recent collection. 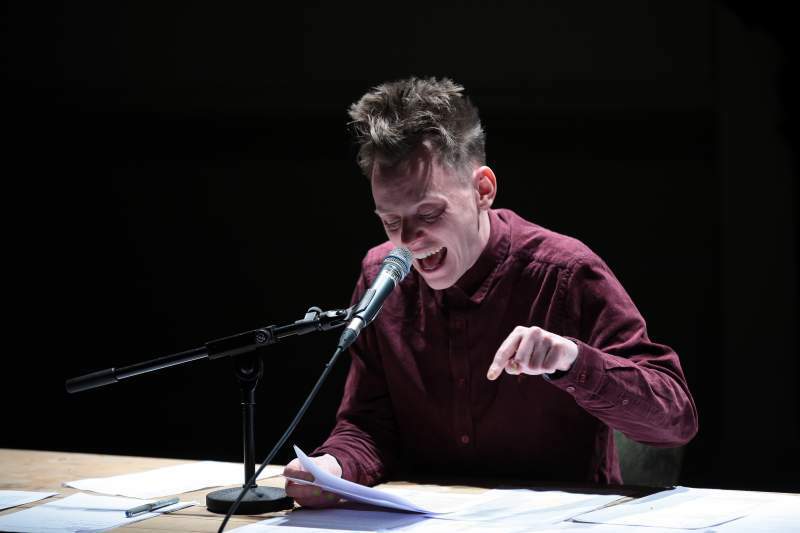 His works veer from wonderfully foul-mouthed verses to comedic tall tales and true stories, peppering dark humour throughout his performances while also tackling the subject of death – a recurring theme in his work – with poignant, thoughtful moments. Except, there’s a twist. This is Christopher Brett Bailey we’re talking about and as such, it’s not quite as simple as just standing up and delivering a simple recital. Instead, every night will be a truly unique experience as he delivers a completely different set of tales from behind his trusty desk. You won’t know what you’re going to get, except for a mesmerising performance.